Over the last few years, more and more corporations have used litigation as a tool to attack the credibility of human rights and environmental defenders. This phenomenon is part of what has been labelled, Strategic Litigation against Public Participation; more commonly referred to as SLAPP. SLAPP is increasingly used by corporations against individuals, or civil society organisations, which have criticised or made public allegations against the corporation’s actions, notably regarding allegations of environmental degradation or human rights abuses. 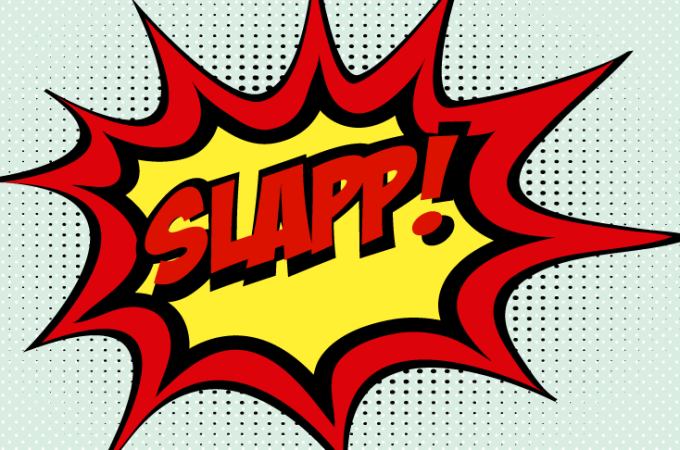 It is not an entirely new strategy as the concept of SLAPP was conceptualised in the United-States during the 1970s, but we have recently experienced an exponential increase of SLAPPs used as a retaliatory mechanism against human rights and environmental defenders. The Business and Human Rights Resources, which is one of the leading international civil society organisations working on issues of corporate responsibilities for human rights violations, recently published a briefing on corporate legal accountability highlighting the amplitude of the phenomenon. Corporations have also used litigation as a way to counteract and challenge legal processes engaged against them. The saga of cases of litigation initiated by Chevron following serious pollution in the Amazonian region of Ecuador is an infamous illustration of such legal tactic. The serious pollution created by oil spillage has led to a series of multiple country-based legal strategies by Chevron to avoid responsibility, including lawsuits in Canada and the US. After losing a case in Ecuador where Chevron was ordered to pay $9 billion to affected communities, the company sued the affected Ecuadorians and their lawyers back in the United States under the federal anti-racketeering law (known as RICO). This is just an illustration, as such ‘attack to defend’ tactic in using litigation to counteract allegation of human rights or environmental violations is becoming increasingly common. The most common legal tactic is to sue the individuals, or organisations, reporting on environmental or human rights abuses for defamation, trying to tarnish their reputation or the validity of their findings. An ongoing illustration of such defamation tactic comes from the multiple lawsuits against migrant’s rights activist Andy Hall by the Natural Fruit Company (“NatFruit”) in Thailand. The first litigation was launched in February 2013 following the released of a report entitled “Cheap has a High Price,” which highlighted labour rights violations such as the use of underage labour, migrant worker passport confiscation, and unpaid overtime by Natfruit. Following the publication of the report, Natfruit filed suit against Hall for defamation and violation of the Thai Act on Computer Crime for allegedly making false statements to public media. In 2016 Hall was found guilty of criminal defamation and violation of Thailand’s Computer Crimes Act and sentenced to three years and suspended for two years because of his record as a human rights defender. In March 2018, another court issued a verdict on the civil damages claim ordering Andy Hall to pay 10 million baht (US$320,000) in damages to the company. This legal tactic was used to make sure that no more allegations could be made against the company, despite the fact that no courts actually looked at situation faced by the concerned migrant workers. In their decision, the judges gave weight to Natural Fruit’s evidence that government inspectors had regularly visited the factory and found no serious issues, despite the availability made by Andy Hall of research notes, photos and several witnesses of the labour rights violations. Another approach is to attack the reputation of the environmental or human rights defenders. The ongoing litigation launched by the Canadian logging company Resolute Forest Products against Greenpeace and other environmental groups is a good illustration of such tactic. In this case, the company challenges the allegations made by the environmental groups for being defamatory and tortious. The company took legal action using the US Racketeer Influenced and Corrupt Organizations Act (“RICO”) claiming that the environmental groups have made defamatory claims to fraudulently induce donations from the public in violation of the RICO act. The case is ongoing but provides an illustration of the ways to use litigation to reverse the allegations and tarnish the civil society organisations’ reputation. As noted by Katie Redford: “At the very least, Greenpeace is going to have to spend resources and time defending themselves instead of the environment. That is a victory for Resolute, whatever the outcome of the lawsuit. And it is a loss for the planet and every one of us who now has to deal with such harassment.” A similar tactic has been used against protestors against the Dakota Access Pipeline. In August 2017, Energy Transfer Partners (ETP), the company responsible for the Dakota Access Pipeline, sued multiple Greenpeace entities and various other organizations involved in the protests against the pipeline. This is a way to use a court to legally diffuse the pressure felt by the corporation. Get Rid of Ads. Support us on Patreon! Not only human rights and environmental defenders are targeted by these cases of litigation, as journalists have also been facing SLAPP actions. A recent example includes the Bolloré Group against several media outlets following reporting on cases of land grabbing and violence committed against local communities in Cameron in the context of palm oil exploitation. As illustrated by a current case of defamation in South Africa, SLAPP can go as far as challenging statement made during university’ courses. Following presentation made during a summer course at the University of Cape about the legality and environmental impacts of a local mineral sands mine, MRC subsidiary Mineral Sands Resources, a subsidiary of Australian mining company Mineral Commodities Limited took a case defamation against the Centre for Environmental Rights. Get our stories sent straight to your inbox! This increase and more systematic recourse to litigation as a strategy to stop the flow of information about the impact of the acts of corporations is particularly worrisome as it challenges open debates and diffusion of public information regarding serious environmental or human rights issues. SLAPP not only undermine the rights to freedom of expression, of assembly, and of association but also challenge the very bases of democracy by reversing the primacy of matters of public interest over personal issues. It results in the exploitation of the judicial procedure as an intimidation and censorship weapon, in most cases used against civil society. One of the issues is the lack of legal framework or institution to challenge the overuse of litigation as a strategy to silence environmental and human rights defenders. As analysed in a recent report concerning SLAPP cases in France, there is lack of international legal standards to address these particular forms of legal attacks against human rights defenders. In terms of international human rights law, some of the United Nations monitoring bodies have started to address the issue. For example, the UN Committee on Economic, Social and Cultural Rights has elaborated a set of States’ obligation to protect individuals under their jurisdiction from interference by third parties in the context of business activities. In this general comment, the Committee specifically noted: “The introduction by corporations of actions to discourage individuals or groups from exercising remedies, for instance by alleging damage to a corporation’s reputation, should not be abused to create a chilling effect on the legitimate exercise of such remedies.” The increased attacks on human rights defenders who speak up against business-related impacts on people and the environment were also one of the key issues examined at the last meeting of the UN Forum on Business and Human Rights. Whilst international human rights bodies have started to highlight the issue, there is a lack of systematic international reaction. Most individuals and organisations facing these legal challenges are usually left to their own devices with little means to support the tremendous legal, technical and financial challenges created by the multiple and systematic use of litigation against them. This article was originally published on The Corporate Social Responsibility and Business Ethics Blog. It has been re-published at IC with permission. Help us set the record straight! Indigenous Peoples are putting their bodies on the line and it's our responsibility to make sure you know why. That takes time, expertise and resources - and we're up against a constant tide of distorted news and misinformation. By supporting IC, you're empowering the kind of journalism we all need, at the moment we need it most.